Designed for the true skier at heart, Mountain Legs Trail Map Baselayer Leggings offer all the comfort you love from your favorite baselayers with a unique design that represents some of the most popular ski mountains around. 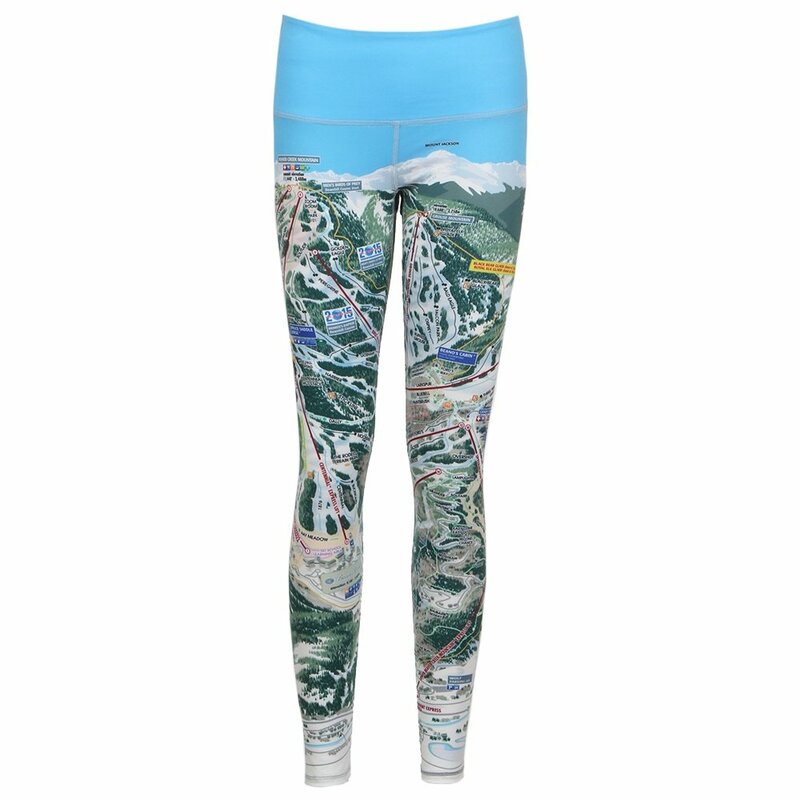 Using sublimate printing for improved durability and map accuracy, these leggings feature iconic ski trail maps, including Beaver Creek, Breckenridge, and Vail. While they have a unique print, they don’t skimp on comfort either, featuring flatlock and reinforced seams for improved durability and moisture-wicking fabrics to keep you dry and comfortable all day on the slopes. They’re made from brushed poly spandex which means even when the seasons change you can wear them for a run or a yoga class without skipping a beat. Enjoy comfort, style, and a nod to your favorite winter sport with the Mountain Legs Trail Map Baselayer Leggings.